There's a genre of book I read most that I can only describe as escapism. Something you pick up when you just want to be taken away from the mundane. I suppose the classification of the genre would be adventure. I have three or four authors that I favour and I buy everything they produce. As I'm not a very fast reader and go through phases where I didn't read for months, that means I have quite a collection built up on the iPad ready to read. 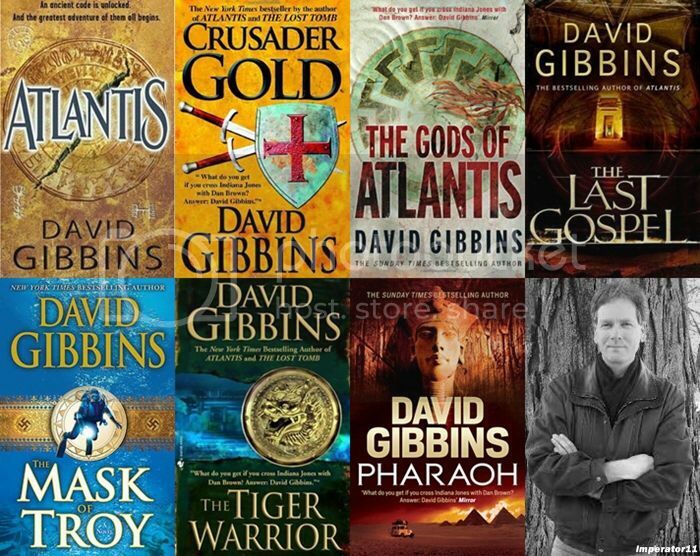 The themes of the novels are very much along the lines of Dan Brown, stories based on historical fact, historical possibility, mythology and occasional science fiction. So the books could cover anything from recent history, to the Crusades, to Egyptian Pharoahs to Atlantis to religious themes. Love this genre and I got a number of the James Rollins titles. Will definitely have to look into the Gibbons collections as they're the type of novels I enjoy most. Not home right now, but there's an author by the name Clive (first or last not sure) that Ive read. Along the same lines, in terms of thematic background, but with some real life and current timelines thrown in. I just can't remember the name right now. That's the guy! Just got home and checked . Yup he has to be one of the originals for this genre. Been going for years. I haven't read much of his and maybe should but am thinking his older stuff might be a little dated in terms of technology etc. I think he wrote Raise the Titanic too. Yup thought so, just checked. Looks like he has written over 60 novels and has four books due for publication this year alone. Oooh, I've read many books by David Gibbins, James Rollins, and Scott Mariani but haven't read anything by Andy McDermott. I'll have to check his work out. For additional escapism reads I like the Agent Pendergast series by Douglas Preston & Lincoln Child. 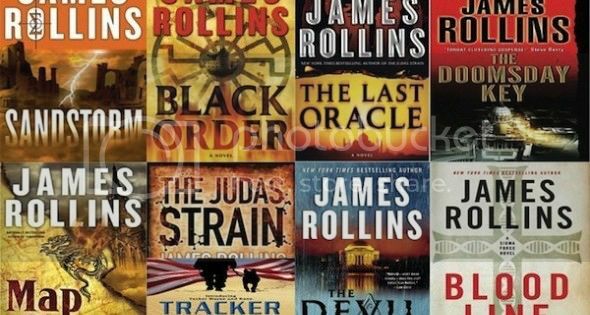 I recently bought the first book in James Rollins' The Order of the Sanguines Series. Haven't started it yet, but am looking forward to reading it when I get some down time. You've named a slew of the authors I've read and some (Gibbons and Lynch) I haven't. I must admit I'm addicted to cozies as in MC Beaton's Agatha Raisin and Hamish Macbeth series. Lately, I've been downloading freebies from bookbub.com. I like being able to find authors I've never heard of like CL Beville - "Bubba and the Dead Woman." Bought the next in the series, but haven't read yet. Another American cozy from Amazon is CA Newsome, A Shot in the Bark, a dog park mystery (wonder why I gravitated to that one?). Also have downloaded a bunch of dogs. We used to have a fabulous second hand book store (now out of business) which, I joked had the second mortgage on my house. Because of them, I have hundreds of ... um... maybe more... books (real ones, can you believe?!). I depend on http://www.fantasticfiction.co.uk/ and a database I compiled for when I can't remember which ones I should pick up first, which ones I've already read and which ones to reserve at the library. I kept the database because, after I finished a series, I'd donate it to my library. Before the database, I often found myself buying books I already read. Some other authors I've enjoyed are Janet Evanovich, Sue Grafton, Tony Hillerman, Bruce Alexander, Michael Dibdin, Stuart Kaminsky, and Sue Henry. Still looking for new names that I like, but few and far between. I don't seem to read the same authors as the rest of you buy some of my favorites are Christine Feehan , Amanda Ashley, Diana Gabaldon, Hannah Howell, Sherrilyn Kenyon, Nora Roberts, Lynsay Sands, Maggie Shayne, Kerrelyn Sparks, J.R. Ward.